Welcome to Accurate Appraisal. 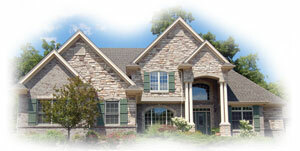 We are a leading provider of real estate market values for the Virginia Hampton Roads mortgage area. Working with many loan officers and under writers has enable us to be a team player. We are self motivated and flexible when it comes to setting up appraisal appointments. We strive to make contact within 24 hours of receiving the appraisal request and our turn around time is 24 to 48 hours after inspecting the property. Here are some of the areas Accurate Appraisal covers in Virginia when doing Conventional and FHA loans: City of Chesapeake, Norfolk, Virginia Beach, Portsmouth, Suffolk, Newport News, Hampton and York County. Finally, I believe that an appraisal report is an official document and must be very detailed oriented.